Camden’s Green Note was opened in 2005 by two music lovers who wanted to create their own ideal gig venue and hangout. Eleven years on and it turns out a lot of people share their vision: not only has Green Note become London’s go-to venue for world, roots and acoustic music, but last year it was also officially voted London’s Favourite Music Venue in a poll run by Timeout. 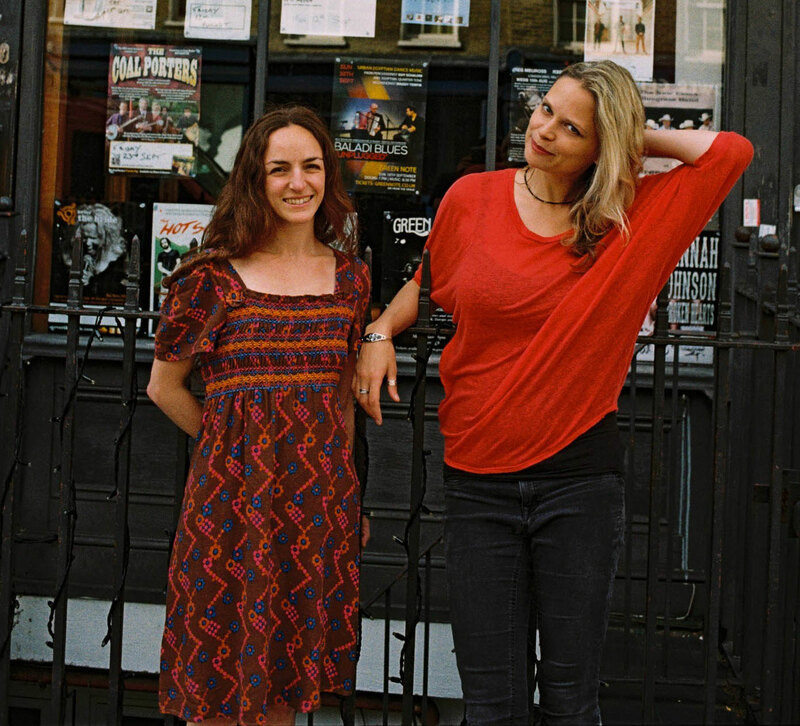 We spoke to long-time WeGotTickets clients Immy and Risa about what makes Green Note so special, the challenges faced by small venues and their musical heroes. First of all, a belated congratulations for being crowned London’s favourite music venue last year. How much did that mean to you? Thank you! Winning meant a huge deal to us – it’s really nice to be recognised after all these years of hard work. We’ve been friends since school, and spent many years dreaming and planning our vision for Green Note. It was really encouraging to know that so many people love and appreciate what we do and share our ethos and values. It was an honour to receive such a public recognition, especially given the calibre of the competition! Fans of Green Note always used to joke that it was Camden’s best kept secret… But now the secret’s out! Why do you think you won the award over larger venues like The Roundhouse, Royal Albert Hall and Union Chapel? We may be small but we are well loved and have a very loyal fan base. Because the two of us are usually around, and we have such a wonderful team of staff, it kind of feels like a big family. We have a lot of regulars also. Perhaps it is because we are so small, that people feel more personally invested in the place. Also, we have gigs 7 nights a week, and the quality and consistency of the music we put on speaks for itself. Plus, while there is of course a place for large venues, it’s such a special experience to see live music in an intimate setting – where you’re so up close that you can see the whites of the musicians’ eyes – you don’t tend to get that at the large venues! What do customers get at Green Note that they can’t get elsewhere? A human connection; a personal touch; a sense of community… We try to create a cosy, intimate and friendly environment where everybody feels welcome. It’s also really lovely to see what a wide demographic we attract – groups of friends of all ages, couples on dates, sometimes whole families come along, and a lot of people come along on their own too. We’re slightly ramshackle, not very slick… It feels like an intimate living room gig. But it’s a place where unexpected musical magic can happen! You host gigs pretty much daily, and sometimes have a couple on the same night. It must be incredibly hard work – how do you keep going? We book most of the music ourselves, and we only book music that we love… So although it’s hard work, our hearts are really in it, and that’s what keeps us going. There have been a number of high profile venue closures over the last year or so, is it a difficult time to be running an independent venue? Yes, very… It’s always been hard, but it’s getting more and more challenging, as evidenced by the growing number of closures of small venues. It’s a constant uphill battle, and no government support for small independent businesses, so you’re always competing with the larger venues (many of whom get a lot of government funding) and the groups which own multiple venues and as such are able to benefit from the economies of scale that come with that. We’re lucky in that between us, we’ve stumbled our way through learning and doing every aspect of our business, from booking and promoting, to managing the bar, to accounts, to website building, to PR and a million other things in between! We definitely save a lot of money doing all that kind of thing ourselves. You’ve run Green Note for over ten years now; do you have any tips or advice for aspiring promoters out there wanting to start booking bands? Go for it! Book music you love and it won’t feel like work. This isn’t the kind of business you go into to make money, so make sure you’re doing it because you love it! You’ve hosted some amazing musicians over the years, but if you had to pick out one most memorable performance, who would it be and why? Not sure we could pick out just one performance- we’ve had thousands and thousands of artists grace our stage over the years and SO many incredible moments! However one appearance which particularly stands out is when Leonard Cohen came to Green Note! We’re both HUGE fans and it was such an honour to meet such a legend and one of our all-time musical heroes. Over the years Green Note has hosted Amy Winehouse, Michael Kiwanuka, Graham Coxon, Johnny Flynn and even Jon Snow. Head over to their listings page to see who’s performing in the coming months.